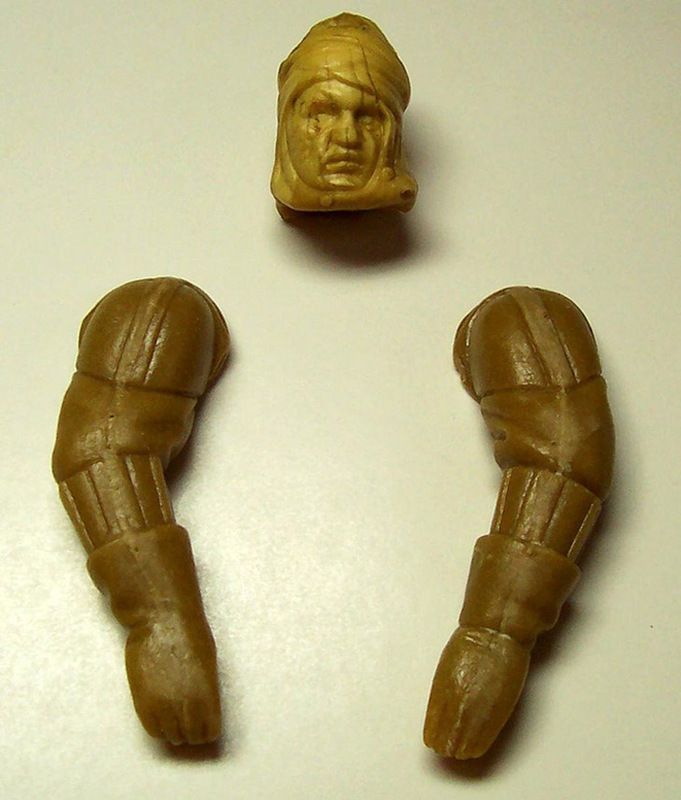 The Dengar pre-production arm pair and head shown above are hardcopies cast in a tan urethane referred to as carbalon. 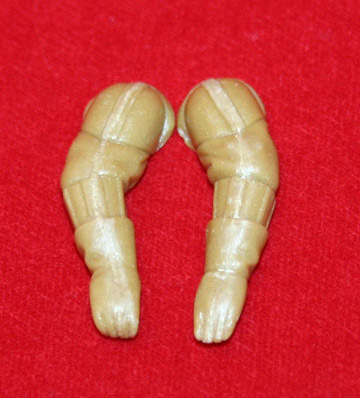 The arm pair and head surfaced from completely unique sources. It's always nice to see matching hardcopy parts reunited together again whenever possible. The second and third photos afford glimpses of the arms placed at different angles. 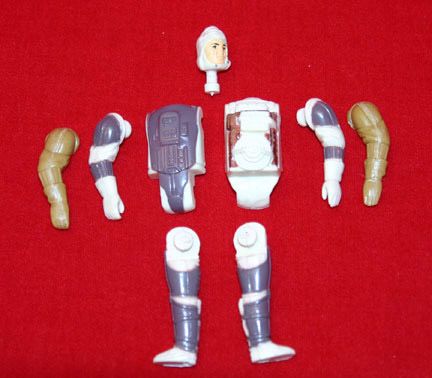 The third clearly shows the depressions where a metal dowel is placed to secure the limbs to the hardcopy torso. 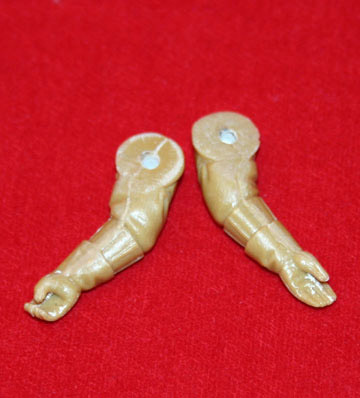 The third photo shows the unpainted hardcopy arm pair next to a non-sonic welded Dengar action figure. 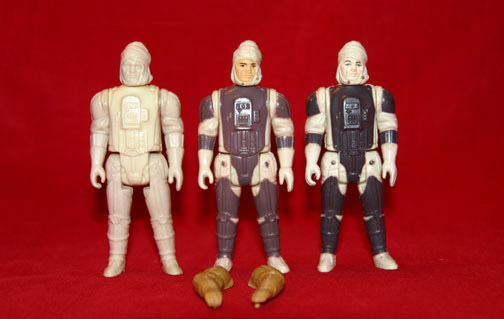 The final image portrays a series Wayne Thompson once assembled for the Dengar action figure comprised of the following (from left to right): unpainted first shot, non-sonic welded figure, pale face figure variant, and unpainted hardcopy arm pair.